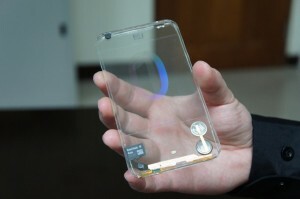 Why do we need a transparent smartphone? Does the transparency serve any function beyond the aesthetic? Will other features be sacrificed to appease the demi-gods of innovation? And won’t people be able to see what you’re typing or watching through the back of the phone? That could be rather embarrassing. Are we just fulfilling our science fiction fantasies? Polytron Technologies Inc., the Taiwanese company behind the prototype, was probably expecting a warmer reception to their technological marvel. They already have a reputation for merging glass and electronics, from LED glass to privacy glass with adjustable transparency, so it’s no surprise that they’re leading the way for transparent smartphones. According to Polytron, their OLED-based design may even go into production by the end of 2013. Still, many suspect that this window-like phone will run into the same problem as the Windows Phone—people just won’t see the point. Pessimists might think of a transparent phone as being “easier to lose,” but I say they’ve got it all wrong—it’s easier to hide. When the police break down your door looking for those incriminating files, you’ll just smile because they’re hidden in plain sight, in your nearly-invisible phone. …Where did you leave it again? Germy handshake? Palm injury? Alien Hand Syndrome? 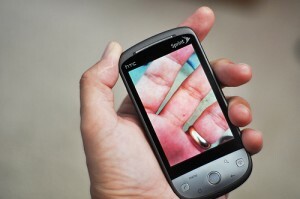 Never let your hand out of your sight when you have a transparent smartphone. That’ll keep it out of trouble. Bonus: now you can text and get a palm reading at the same time! While you’re waiting for Google Glass to be available, you can create a similar experience by duct-taping your transparent phone to the brim of a hat or to your glasses. Sci-fi, indeed! Not just an Instagram effect. In a closet somewhere, you probably still have a few actual non-digital photographs (if you don’t know what those are, just Google it). Tape one of those to the back of Polytron’s see-through phone and voila! 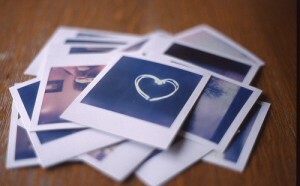 Instant photo background. Or, create an artistic background with paint or markers—just don’t make any mistakes. It’s dangerous to text and drive, and you should never, ever do it…UNLESS you have a transparent smartphone that allows you to see the SUV that’s careening towards you because you’re in the wrong lane. If you put your mind to it, I’m sure you can come up with even more uses for the future of techno trivialities. Seriously, though, I believe this is an important development that will find its place—just maybe not in a cell phone. Imagine applying the same technology to your car windshield (built-in GPS? ), your glasses, or a storefront window—that’s where transparent tech will really be effective. Do you have ideas for how a transparent phone will be useful? Please share them in the comments! Smartphone Kill Switch: A Solution or Just a New Problem? Better SmartPhone Batteries Coming Soon? 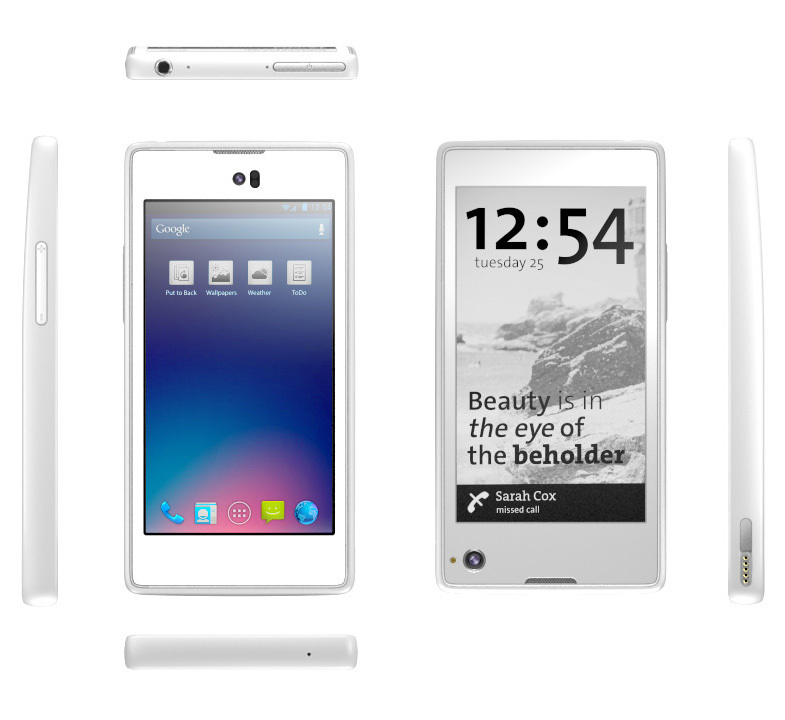 Phonebloks: the LEGO-like Modular Smartphone Russian Challenger Enters Smartphone Fray: What’s Their Secret Weapon?